Dubucand was one of the most talented of the French Animalier school. His horses, dogs, and birds are well modeled and true to life. 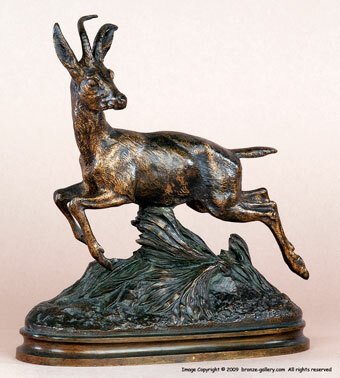 Here he has sculpted an African Antelope or Gazelle caught in full stride. The lithe creature darts away as its life depends upon its speed. 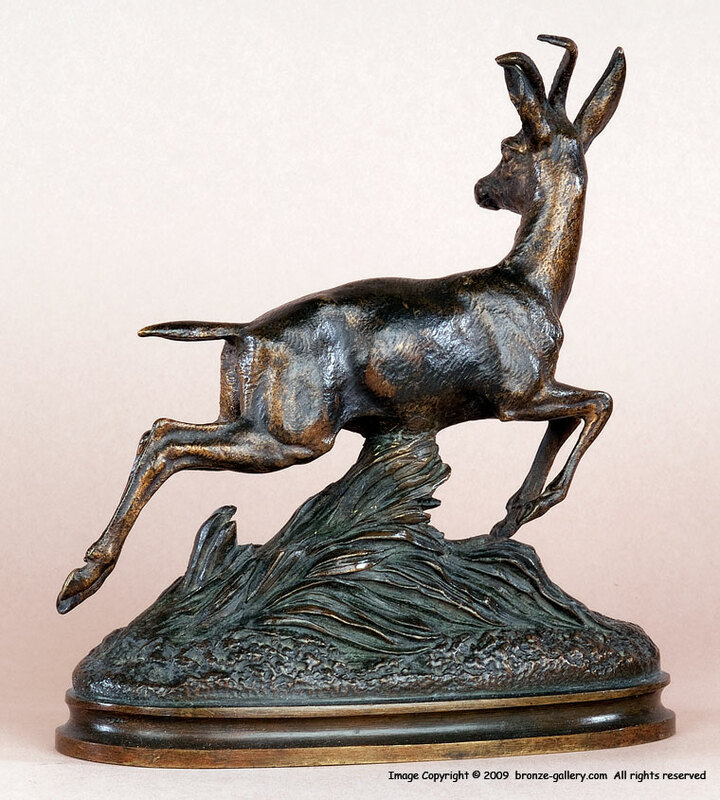 A rare model, this bronze is finished in a rich brown patina.